BBC four controller Richard Klein has been hired to lead rival ITV’s factual charge, as part of a series of new appointments. He will become the UK commercial channel’s director of factual, with former Channel 4 daytime chief Helen Warner becoming director of daytime. The pair join ITV this summer to take over the duties formerly handled by ex-director of daytime and factual Alison Sharman. Furthermore, Jo Clinton-Davis has been upped to the newly created role of controller of factual. She has been overseeing Sharman’s duties since the latter left ITV in February. 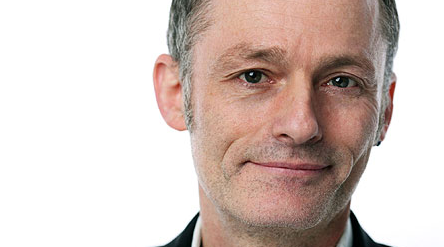 Klein has been in his current role at pubcaster the BBC for four-and-a-half years, overseeing arts and cultural channel BBC4. However, the future direction of the net has been subject of much debate since its budget was cut during the BBC’s DQF cost-saving initiative. Klein had begun his career at the BBC as a current affairs producer before moving into factual commissioning in 2000. At BBC Four, he is credited with bringing international series such as Borgen, The Killing and The Bridge to UK screens. He also commissioned a series of successful programmes that grew BBC4’s audience share by double during his tenure. “[Richard Klein has] been a highly successful controller of BBC Four and I know he’s looking forward to a return to mainstream television and the challenge of making high quality programmes for broad audiences,” added Fincham. Warner, meanwhile, was formerly Channel 4’s head of daytime, where her commissions included Jamie’s 30 Minute Meals and Coach Trip. She was more recently an author.